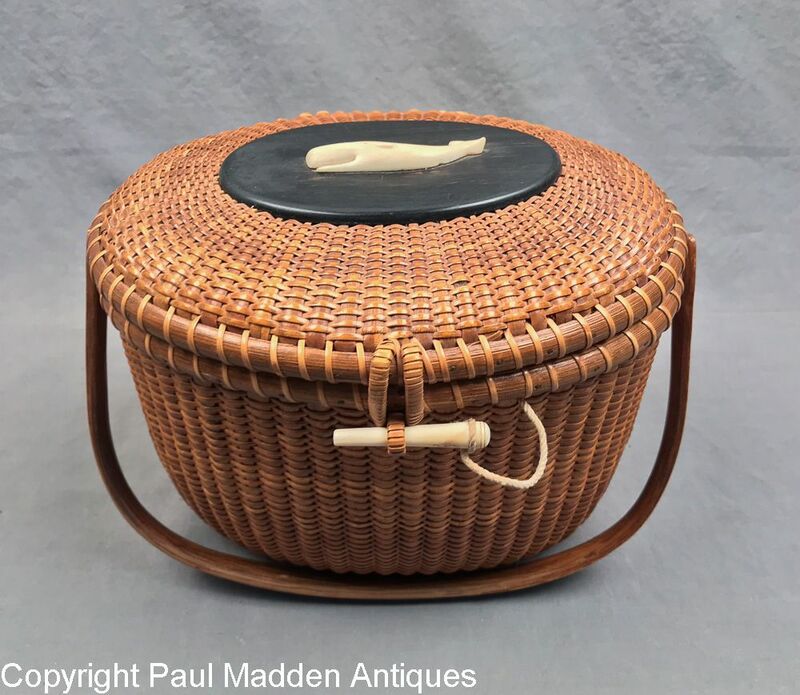 Vintage Nantucket Basket purse by Jose Formosa Reyes. Signed on bottom. 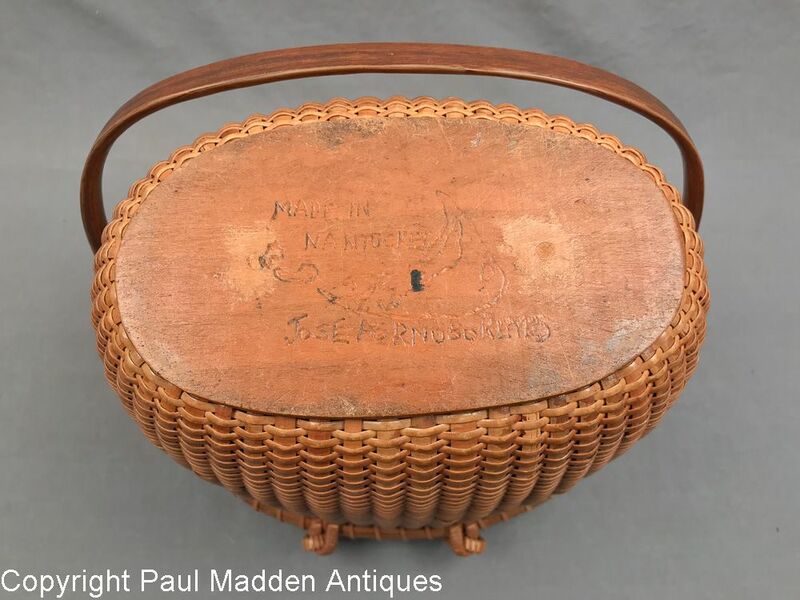 Nice early Reyes basket circa 1955. 8-1/4" oval size. 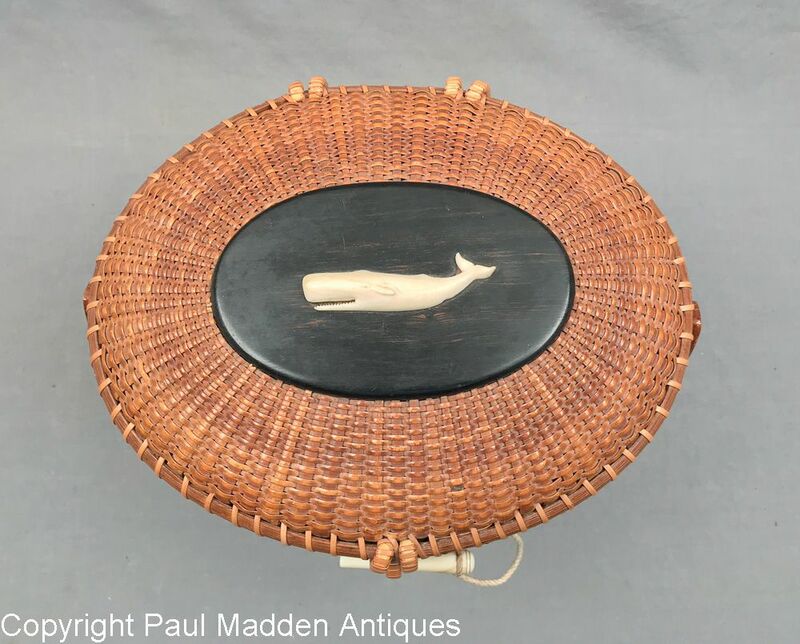 Traditional carved Sperm whale on lid. Caramel colored patina, great overall condition. Measures 9-1/2" by 7-1/4" by 7-1/2" overall.